Right now, as you read this line, there is a party going on in New Orleans. How can we be so sure? Because there’s always a party. The revelry reaches a fever pitch at times, but it never stops. But what’s so gay about it? Well, the whole city loves to sing, dance, dress up, parade, and drink anywhere, everywhere. What’s more queer than that? You may think you’re ready, but unless you’ve been there, you have no idea what you’re getting into. Nothing, nothing stops the party in New Orleans. Recovering alcoholics should just avoid New Orleans altogether. Unlike most American cities, drinking in public is legal. There’s none of that “let me finish this drink and then we’ll go” business there. Your bar will gladly give you a plastic to-go cup. Bad for the environment, bad for your liver, but awesome for keeping things going strong. Pacing your inebriation may be a problem—the bars basically never close. If you’re not careful, the Big Easy might become your nickname too. The place you want to be, where most of the action takes place, is the French Quarter. This is simply the craziest neighborhood in the country. And the corner of Bourbon and St. Ann streets is gayer than a rainbow-colored unicorn on poppers. So head there immediately. For a slight change of pace, the Faubourg Marigny, adjacent to the French Quarter, is a quiet, funky neighborhood that offers culinary surprises and musical treats. 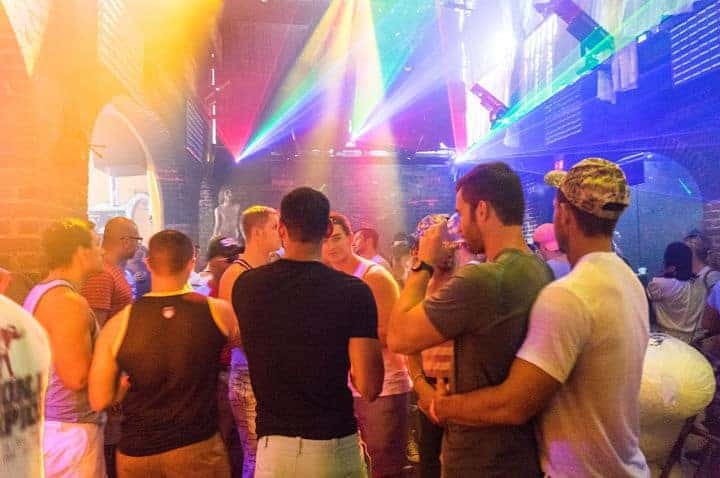 There’s no wrong time to be in New Orleans, but if you’re looking for the hottest parties, there are few scorching events. The most famous is, of course, Mardi Gras in late February/early March. Everyone should experience this Caribbean-infused spectacle at least once. You will talk about it for the rest of your life, assuming it does not kill you then and there. 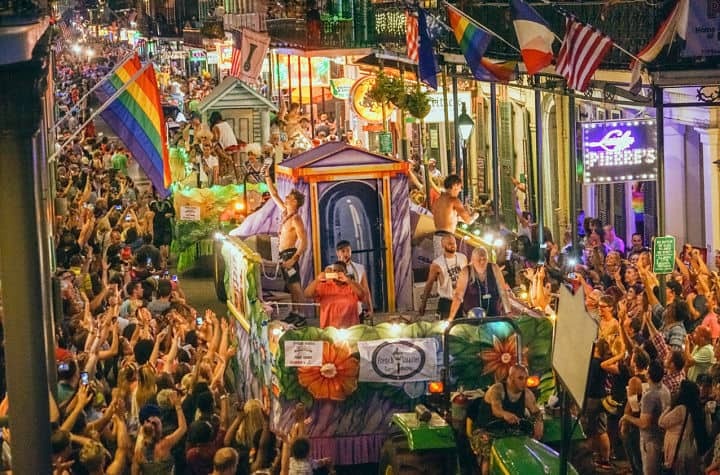 If costumes and parades are not gay enough for you, Southern Decadence in September is essentially Gay Mardi Gras. It is nothing short of wild. You don’t even need to bring a shirt (and that includes the ladies). 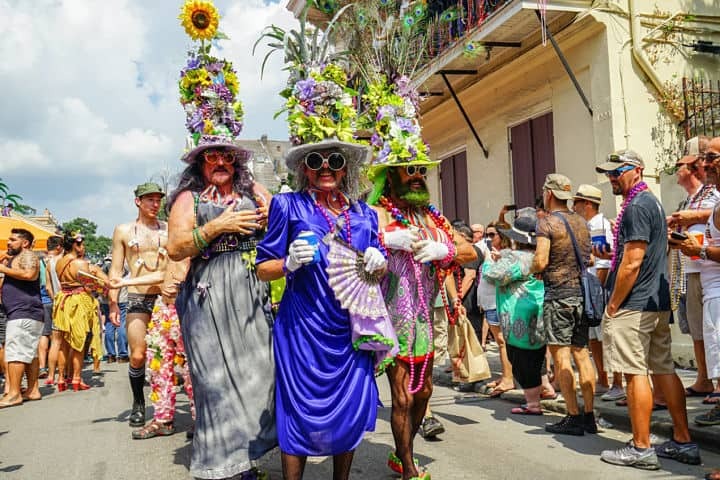 Tell someone you’re going to Southern Decadence and they’ll judge you in that writhing-with-jealousy way that makes vacations even more fun. Easter and Halloween bring elaborate parties too. Basically, if there’s any excuse to dress up, New Orleanians are ready for trouble. Life outside the party scene is refreshingly complex. From food to theater to music, it’s all distinctively New Orleans. It’s like waking after a hookup to realize you actually like the person drooling on your pillow. In between hangovers, take some time to walk around and appreciate the beauty and history of this indomitable city. If you need a little help starting your morning/afternoon, Café Du Monde can do wonders. Coffee is thought to come to America through New Orleans, so they kind of know what they’re doing. 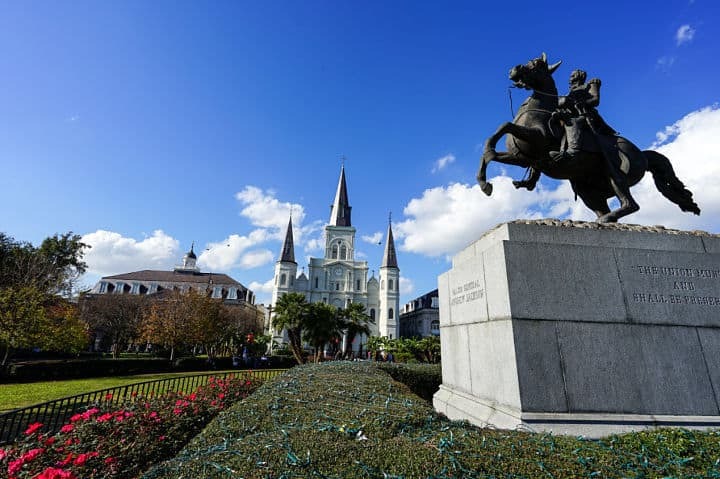 Along your sightseeing tour, stop by Jackson Square. It’s a lovely place to find some peace and take some vacation pictures that don’t involve drinking. Throughout the city, you’ll find quirky shops and restaurants you won’t see anywhere else. 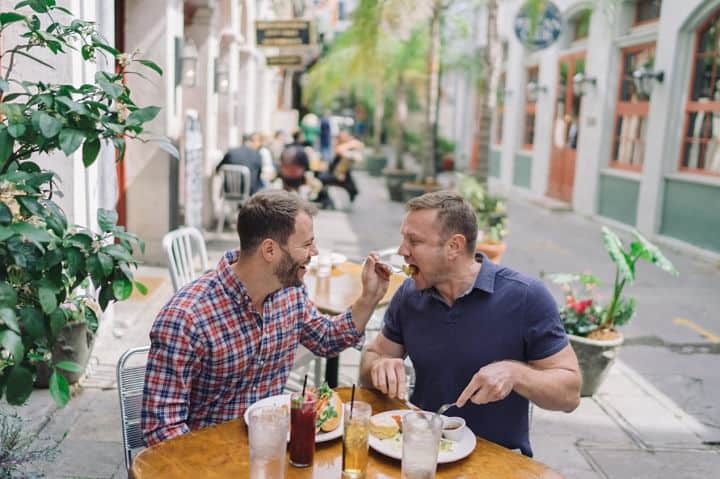 Thanks to a strong effort to keep out retail chains, especially in the French Quarter and on Magazine Street, the places you’ll find are authentic and absolutely New Orleans. And for architecture buffs, there’s a surprising diversity of styles due to the cultural history of this port city. 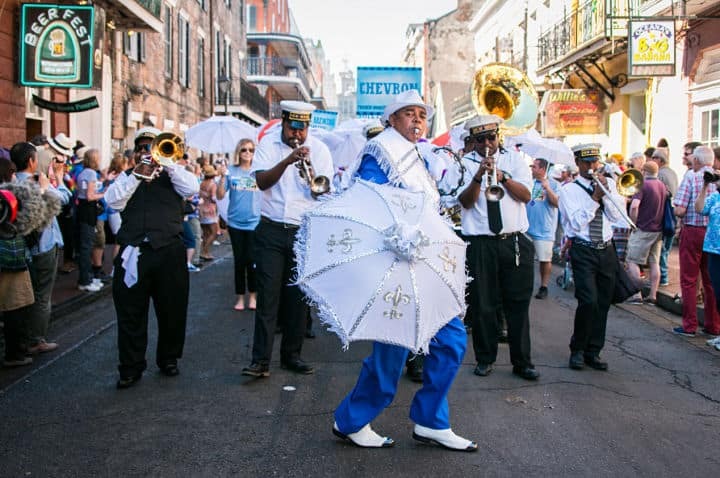 Laissez les bons temps rouler (“let the good times roll”) is not just a saying in New Orleans. It’s a command. You could try to resist the outlandish, boisterous, and racy energy that fuels the city, but why? Let it take you over, and you’ll lose your cares, your sobriety, and everything else holding you back from letting go and just enjoying life.